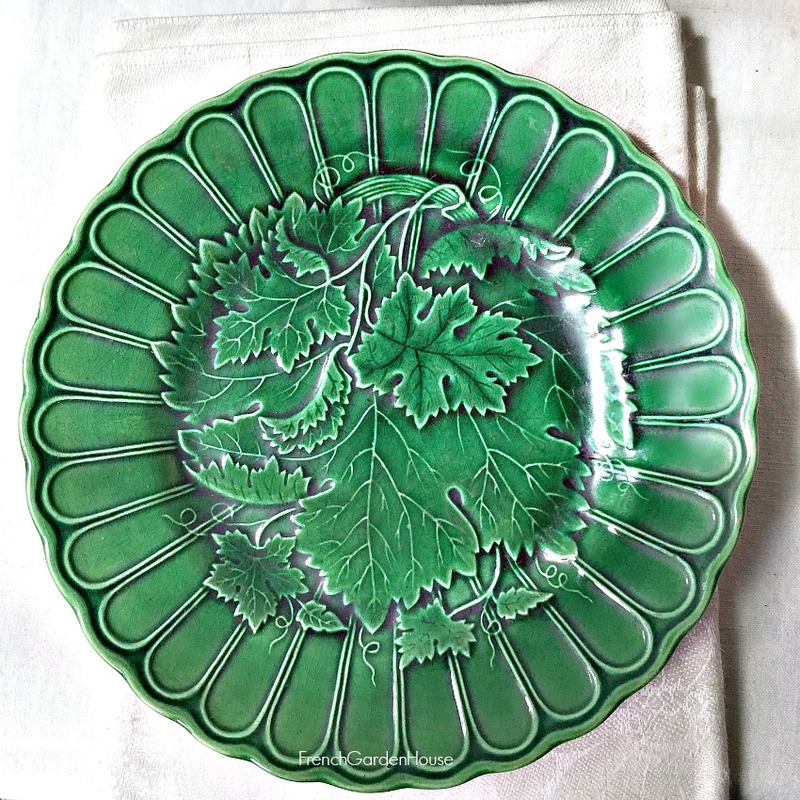 Exquisite Antique Collectible Majolica Greenware Dish with leaf pattern, produced by Emile Regal and Jules Sanejouand at Clairefontaine France, in the late 1860's. The factory, founded in 1804 by Jean~Francois Estienne in an old monestary was taken over by Jean~Baptiste Regal when his wife inherited the factory. 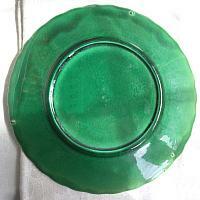 The first majolica ware was produced here in 1860. 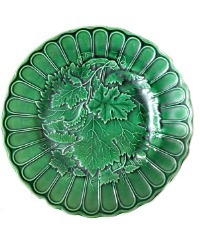 One of his sons, Emile, and Emile's brother in law, Jules Sanejouand continued producing high quality majolica. Their mark is found on the back, an anchor and R S., the plate has three stilt marks as shown. Fantastic bright color and country foliage design, a gorgeous representation of "L'art Vegetal" which was so favored during the 19th century, this pattern shows overlapping leaves. Great lustrous glaze, what a stunning plate to display with your antique Majolica collection, or a luxurious gift for a fellow collector!